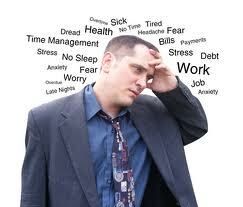 Learn about managing stress in the workplace along with a chance to discuss some of those difficult cases you have to deal with. Practical OH Solutions to your complex cases! Pose your OH questions and cases to our Occupational Health experts during this roundtable event. Corporate Health are offering 2 hours of free and unbiased expert advice and solutions to your complex OH cases and concerns. The aim of this event is to give you the opportunity to bring your cases that are not yet resolved to the team who will use their experience and knowledge to identify practical solutions. No case is too big or too small for the panel. All discussions will remain confidential, according to the Chattam House rule. 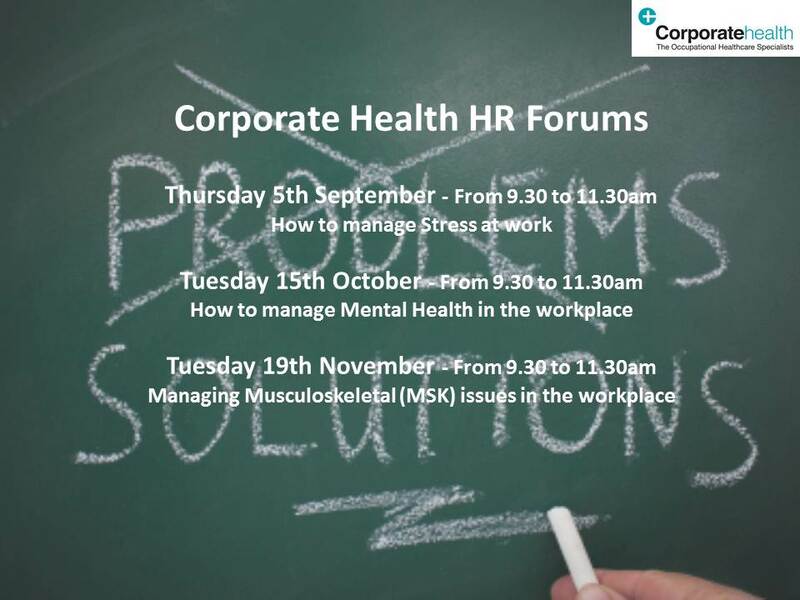 Our next HR forum will be dealing with ” How to manage Stress at work” on Thursday 5th September, from 9:30 to 11:30 am at Corporate Health head office in SLOUGH. Please email Marketing with your full name, company name, email address and telephone number. Note places are limited, so we will be issuing places on a first come first served basis. If you have any questions, regarding this event, please call 0845 6807875. 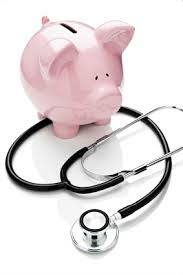 Why GP reports are poor value for money and don’t help get employees on long term sick back to work! Many Companies still rely on writing to the employees GP to get a report on their fitness to work for those on long term sick. This was always the traditional approach but times have changed and this approach is no longer fit for purpose. The general feeling is the reports are biased, don’t consider the employer and from a professional point of view are written by a GP who has had no specialist training in occupational health. We know GP’s are the patient advocate so are very unlikely to challenge the employee (their patient). Speaking to a number of GP’s it is clear they would prefer not to get involved, they say its not worth the effort to explore options and risk upsetting their lifelong relationship with the patient, it is so much easier to just sign them off for the length of time they ask for or write a report and charge for it saying pretty much the same thing. As GP time becomes harder to find and the pressures for them to perform, meeting government kpi’s, even if you do decide on the GP route the reports are taking longer and getting shorter, leaving HR in a difficult position based on the sketchy advice they have been presented with and the employee has seen. Now is the time to re-consider if this approach is working especially as the price is much closer to what you would pay for a specialist OH report which focuses on getting the employee back to work or helping you progress the case. The BMA recommend that GPS should be charging £124.50 for a written report without exam. Compare this to a specialist report at a similar price, from an Occupational Health Advisor which in many cases out ranks the report from the GP, who has been trained to consider the implications of a illness on working ability, captures what questions you want asking as an employer, has a consultation with the employee to discuss with them their condition and explores a more proactive approach of getting them back to work or providing reports which help you manage them out. This process results in an independent yet clear, decisive, commercially focused report which helps you manage the case. More importantly you have the ability to speak to the OH advisor and ask further questions, which will never happen with a GP. Choosing an occupational Health referral rather than writing for a GP report is a far more cost effective approach, with a better outcome in a fraction of the time. Bring your problem cases to this roundtable event and Corporate Health will identify and give solutions on the day.